Fluance announces affordable XL5F home cinema speakers | What Hi-Fi? 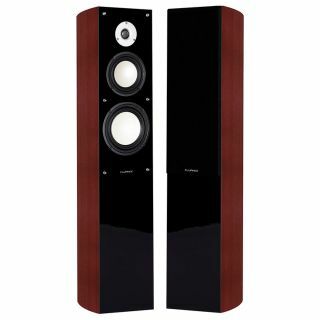 The XL5F floorstanding speakers are the latest addition to the Canadian manufacturer’s Reference Series, which has been designed for home cinema uses. Fluance may not be a company many are familar with, but its mission statement to produce "high-end" home cinema speakers at an affordable price is certainly a solid one. The XL5F speakers use a three-way design and comprise a 5in midrange driver, 6.5in polymer-treated woofer and a 1in Neodymium-balanced tweeter. Fluance says the speaker delivers a “rich, room-filling sound with captivating clarity”. Everything is housed within an MDF wood cabinet, which has been designed to reduce resonance and distortion. And the cost for a pair of speakers that “satisfy the high-quality sound needs audiophiles desire”? $400 per pair. They’re available now in black ash or natural walnut.